This beautiful Garden Party collection by Aussie designer Owey Cocopoulos draws influence from the colorful flowers hanging on a garden and would be great for those searching for a watercolor floral garden styled look. 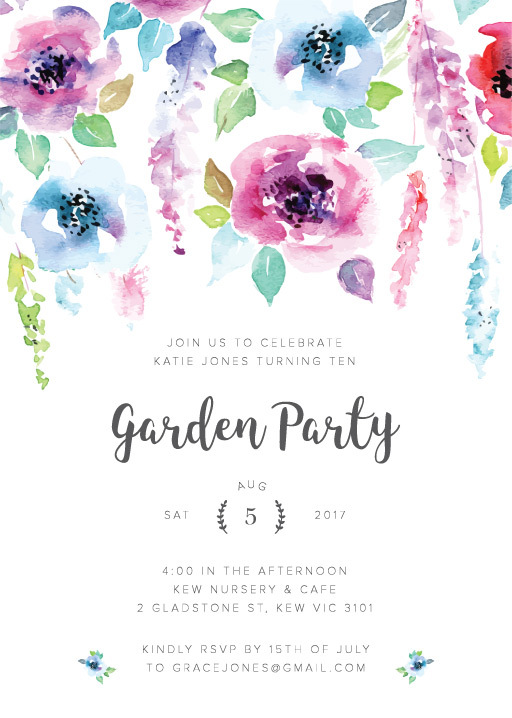 The Birthday Invitations card from the larger collection looks amazing when printed using Digital Printing and we think it looks stunning on Paperlust Linen. 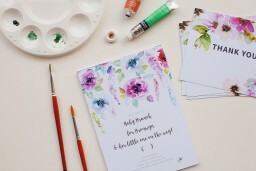 I can't think of a better idea for a garden party card than this hanging watercolour flowers style.